If you wish to buy a good bed for yourself, then you must focus on some basic concepts like design and size of the furniture. However, your primary focus should always be on the comfort of the bed. We spend a third of our lives sleeping, so a bed becomes one of the most important possessions in our lives. Below, we are suggesting a few ways in which you would be able to buy a comfortable bed for your room. Understand the dimensions of the room- not all rooms are created equal and you can’t expect your room to be a perfect square. There has to be a better understanding of the dimensions of the room, specially the space where you wish to keep the bed. It is always better to measure the dimensions of this space so that you can buy the bed of the right size for your room. People often buy too big or too small beds that become a headache when it comes to returns or exchange. So be careful in the beginning itself and measure the space. 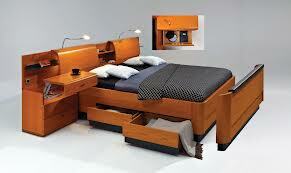 Chose the size of the bed- your bed has to be able to accommodate other furniture in your room. A room that only consists of a huge bed would only be called a bad interior design idea. Therefore, decide the space of the bed in advance and chose the size of the bed accordingly. Shape is also important. Not all beds are rectangular. Some can be available in circular shapes as well. Choose wisely. Don’t buy more than what you need- smaller rooms may not need a headboard and footboard at all. If you invest in these two bed accessories without thinking about the space that they would occupy, you would be making a huge mistake. Leave these two only for the larger rooms and beds. Chose the design of the bed- now that the size and space of the bed has been decided, you need to choose an appropriate design for your bed. Do you wish to get an antique style bed made of hardwood? Do you need a canopy with curtains or a comfortable futon bed? Ask yourself these questions before buying anything. If you are running out of space, the divan beds that come with storage space can be very useful for you. Time to test the bed- never buy a bed before you actually lie down and feel how comfortable it is. You must be able to get enough space on the bed on all sides. Your body must fit proportionately and there must also be enough space for a pillow or a few cushions. Check the material of the bed- these days, there are a lot of options in beds. You can get hardwood and softwood beds, wood and metal beds, metal beds or wood beds that come with leather upholstery. The choices are many. Though your preferences would help you make the final decision, you must always check the quality of whatever materials you buy. It is a big investment and you need to be sure about the quality.